Exactly as predicted, the ongoing French “intervention” in the North African nation of Mali has spilled into Algeria – the next most likely objective of Western geopolitical interests in the region since the successful destabilization of Libya in 2011. Now, it is reported that “Al Qaeda-linked” terrorists have seized American hostages in Algeria in what is being described by the Western press as “spill over” from France’s Mali operations. And it is military action, both covert and incrementally more overt, that will see the West’s extremist proxies and the West’s faux efforts to stem them, increasingly creep over the Mali-Algerian border, as the old imperial maps of Europe are redrawn right before our eyes. 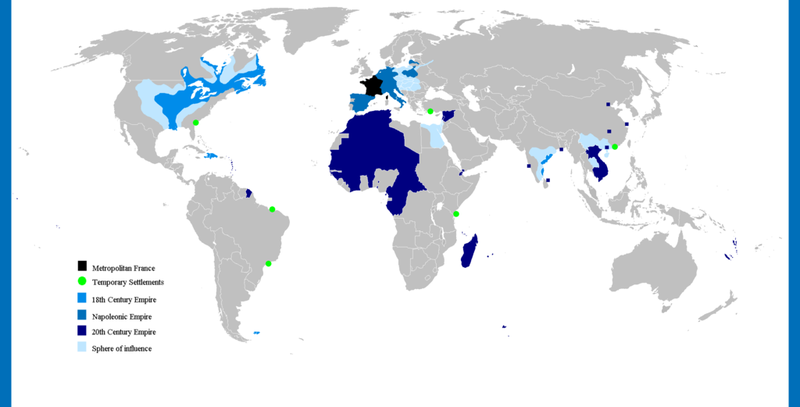 Image: The French Empire at its height right before the World Wars. 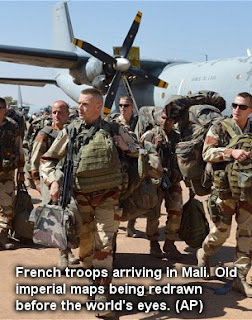 The regions that are now Libya, Algeria, Mali, and the Ivory Coast all face reconquest by the French and Anglo-Americans, with French troops literally occupying the region and playing a pivotal role in installing Western-friendly client regimes. Also notice Syria too, was a French holding – now under attack by US-British-French funded, armed, and backed terrorists – the same terrorists allegedly being fought in Mali and now Algeria. Meanwhile, these very same terrorist forces continue to receive funding, arms, covert military support, and diplomatic recognition in Syria, by NATO, and specifically the US and France who are both claiming to fight the “Free Syrian Army’s” ideological and very literal allies in North Africa. 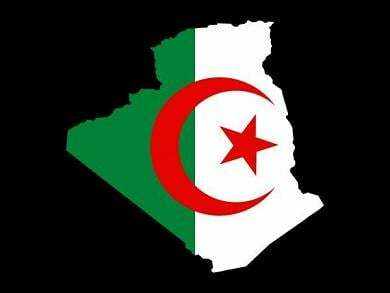 In reality, Al Qaeda is allowing the US and France to intervene and interfere in Algeria, after attempts in 2011 to trigger political subversion was soundly defeated by the Algerian government. Al Qaeda is essentially both a casus belli and mercenary force, deployed by the West against targeted nations. It is clear that French operations seek to trigger armed conflict in Algeria as well as a possible Western military intervention there as well, with the Mali conflict serving only as a pretense.